WBAL-TV is the NBC affiliate in Baltimore, Maryland, owned by Hearst Television Inc. Hearst Television, a national multi-media company, owns and operates 29 local television stations and two local radio stations, serving 30 U.S. cities and reaching approximately 18% of U.S. television households. The TV stations broadcast 60 video channels, featuring local and national news, weather, information, sports and entertainment programming, and local community service-oriented programs. The stations also host and operate digital on-line and mobile platforms that extend the company’s brands and content to local, national and international audiences. Hearst Television is recognized as one of the industry’s premier companies, and has been honored with numerous awards for distinguished journalism, industry innovation, and community service. Hearst Television is a wholly owned subsidiary of Hearst Corporation. The Company’s Web address is http://www.hearsttelevision.com. The Creative Services Department is the marketing arm of WBAL-TV. The talented staff in this department produces top quality on-air promotions for local news and programming. The department strategically creates campaigns and promotional materials that capture the attention of our viewers and highlights our award winning station. An internship in this department will allow you to learn first hand the operation of promoting news stories and observing the process of post-production in Adobe Premiere editing suites, field producing experience with shooters and producer along with composing show descriptions for on-air use. A strong interest in creative production. Excellent writing skills. Ability to work in a fast paced environment. WBAL-TV 11 News is Live, Local, and Latebreaking. The 11 News team brings to Baltimore an in-depth look at today’s top local, national and international news. The WBAL-TV news team develops local stories that provide a balance of latebreaking national news that affects Marylanders. Viewers get important breaking health news, consumer and education alerts, plus personal interest stories. Interns are introduced to every aspect of the news operation, within a structured and supervised environment. Local news interns spend time observing, learning, and participating. Those areas include the assignment desk, producing and writing, photography and editing, and writing for the web. Interns work closely with reporters, assignment desk editors and producers. At the end of their internship, interns will gain a focus on their area of interest and will continue to pursue their individual goals. Looking for ambitious, creative and energetic students. Interns should have some experience in journalism, at least in the classroom, but preferably in a television newsroom setting. The Community Affairs Department is responsible for coordinating relationships between WBAL-TV and community organizations. The department is often times the vocal representation for the station and the network to viewers. The Community Affairs Department also produces a weekly public affairs program called 11 TV Hill. While the origin is local, from WBAL-TV’s Studio One, the scope of issues and guests are far reaching. The effects of national issues on our local market are discussed, as well as both sides of hot local issues. 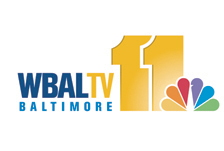 An internship in this position will allow you to communicate and work with community business people and organizations, interact with viewers, and disseminate vital information to viewers through WBAL-TV’s weekly public affairs program, 11 TV Hill. Interns will also receive experience writing and producing, doing research and creating a PSA schedule for children’s programming. Demonstrate good judgment, resourcefulness, confidence, and a positive attitude in response to viewer comments and requests. Strong computer and writing skills, and the ability to pay very close attention to detail.